A self-driving Range Rover will soon be seen on UK roads, funded by a Government grant of £10m. Jaguar Land Rover has been enlisted to help develop the driverless cars of the future as part of a consortium called ‘UK Autodrive’, which secured the funding by winning the Government’s ‘Introducing Driverless Cars’ competition. UK Autodrive comprises Coventry Council, Milton Keynes Council, the Universities of Oxford and Cambridge, the Open University, and a host of private companies including Ford, AXA and RDM Group. It is led by global engineering consultancy Arup. 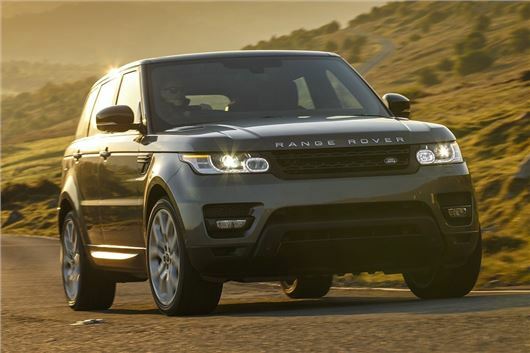 Jaguar Land Rover’s involvement includes the donation of a Range Rover as the basis for a partially autonomous vehicle, as well as providing its substantial engineering clout to certain aspects of the project. More intriguing, perhaps, is that the company will help develop futuristic “lightweight self-driving pods designed for pedestrianised spaces,” specifically the controls for those pods – or the ‘Human Machine Interface’, as it’s defined by the company. JLR’s Director of Research and Technology, Dr Wolfgang Epple, said: “To successfully introduce driverless cars, we actually need to focus on the driver, as well as pedestrians and other road users. So we are researching the Human Machine Interface in cars and self-driving pods to ensure all road users understand, accept and support these new and exciting technologies. “We need to give everyone the confidence that a car or pod driving around with little or no human input is a safe, viable and rewarding experience,” he added. Driverless cars have been the future for decades although it’s only recently that the technology has truly started to take shape, with Volvo among the major manufacturers currently doing trials, and Google famously getting in on the act. And with the Government keen enough on the principle to donate £10m of public money, it seems that there’s no stopping the driverless car; we’re still many years away from an autonomous future, but the Government has a stated aim of making the UK a worldwide hub for the advancement of driverless cars. For this reason, the Government has given the green light to public trials on the roads of Coventry and Milton Keynes, although exactly when we’ll see this during the three-year development phase – totaling £19.2m including funding from private consortium members – is yet to be announced. Arup’s Tim Armitage, the project’s director, said: “The UK Autodrive consortium brings together world-class expertise that will help the UK position itself as a leader in the development and adoption of autonomous driving technologies.